Rebecca Peters is a research student in the School of Computing and Mathematics at the University of South Wales, currently undertaking an ESF-funded KESS 2 PhD in Big Data Analytics. 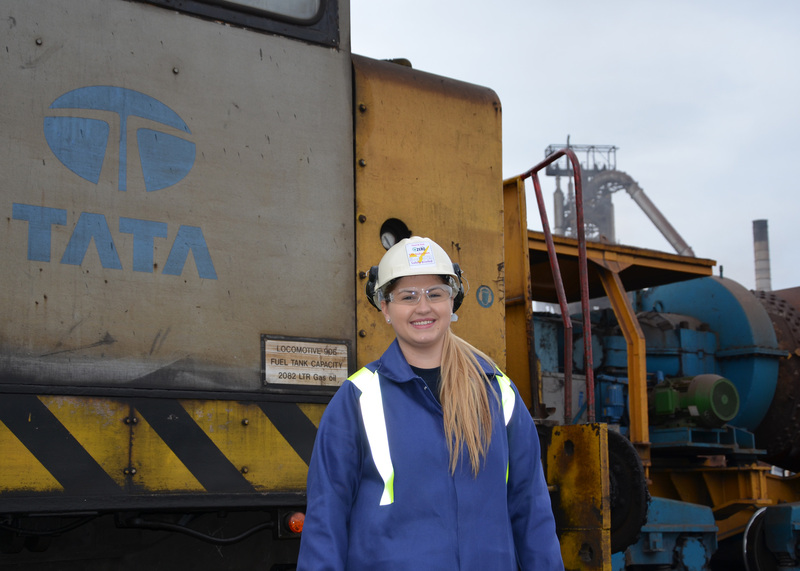 Working with Tata Steel in Talbot, Rebecca is using her keen interest in the real-world applications of Data Science, and exploring its varied techniques within the steel manufacturing industry. Her PhD looks at the continuous casting system that Tata use in the steelmaking process, where molten steel is solidified into a ‘semi-finished’ form for subsequent finishing. In particular, Rebecca is studying the complex data which is generated during this process, and how it currently affects the productivity of Tata’s casters. “My aim is to develop a predictive tool to decide when a caster should be taken out of production for maintenance,” said Rebecca, who previously studied BSc (Hons) Maths at USW. Rebecca is utilising the latest Big Data tools to highlight underlying patterns and relationships within the data, while working to develop new techniques using novel applications. She added: “I’ve faced a few challenges along the way, mainly due to getting used to the processes and equipment used in the steel manufacturing industry, and learning how to work with the specialist software that Tata use for data analysis. “The KESS2 funding has been wonderful. It provides a fantastic support network and brings lots of exciting opportunities which I probably wouldn’t have if I was undertaking a PhD on my own.